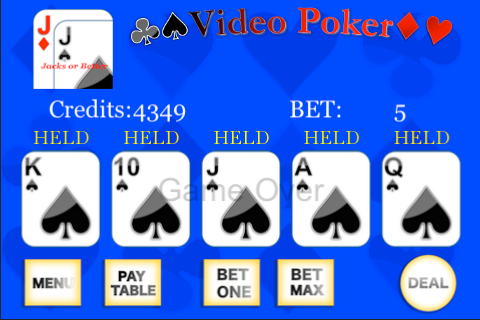 Fast, intuitive video poker for the serious video poker player or the casual gamer. 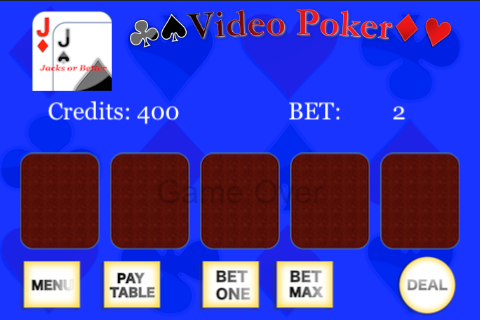 Bring casino action along with you where ever you go! Features high quality graphics, casino-like game play and smooth operation.